XVI - Located in the Times Square District, is an amazing getaway escape to NYC. 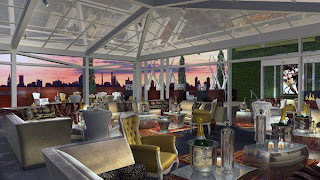 With a retractable glass rooftop you can star gaze and enjoy this open air retreat, for an indoor / outdoor experience. 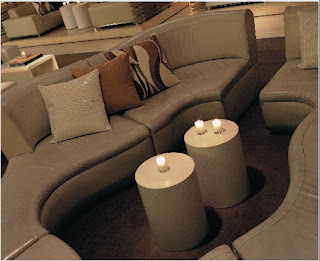 This 2 level lounge, has plenty of nooks to cozy up to, as well as common areas to mix and mingle. Boasting a great line up of celebs who have been sighted in the venue you never know who you many run into. 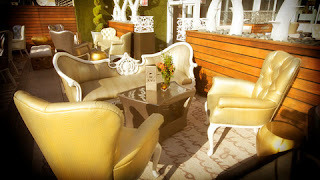 So become one of our VIP's and indulge your senses with great drinks, music, people, and atmosphere. Guestlist: Reduced for Men and Complimentary admission for ladies with RSVP. Hudson Terrace - Hudson Terrace, with its magnificent urban vista, is an unparalleled entertainment destination. Discreetly tucked at the edge of midtown along the Hudson River, this spectacular haven of serene opulence offers unforgettable venue amenities. The Hudson Terrace event venue imaginatively unites intimate interiors with all-season exterior spaces. Erected from imported heirloom woods, handcrafted tiles and treasured stone, the venue promises nothing short of uncompromised artistry. 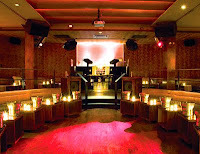 Tenjune - Dance your way around the bouncers and become part of this subterranean lounge's total VIP vibe. The intimate space is charged with sexual texture--zebra-prints, wavy woodgrains and marble accents, as well as walls of violet velvet in the semi-private Purple Room. The horseshoe-shaped dance floor is driven by a stream of celebrity DJs (Lindsay Lohan and Diddy have both had turns), while others bob along from the comfort of tiered, plush seating or pose at the leather-clad bar. 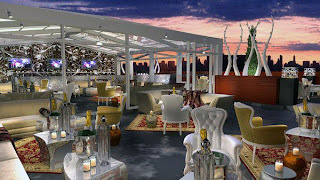 Living Room - Located on the 7th floor of The W Hotel, Times Square. Living Room is a warm and enticing lobby bar for those seeking a taste of the chic Manhattan lifestyle. Famed interior design team Yabu Pushelberg used a natural, earth-tone color pallet to create a sleek, minimalist look in the 2,400 sq. ft. space. White leather seating squares, coupled with glowing resin alcoves that line the bar’s perimeter, create an intimate setting for guests to unwind. A mix of glossy white side tables, streamlined hanging lamps and a contemporary lacquer bar complete the look. 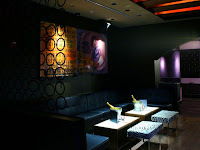 Living Room offers an extensive selection of wine and beer, as well as a wide range of spirits and liqueurs. Its cocktail menu features an ever-changing selection of libations that highlight market fresh ingredients and seasonal favorites, in addition to signature sips like the Midnight Manhattan. 2014 NYE Broadcast in Times Sq.